An affiliate of Pacific Starr Group (“Tenant Rep Advisor”) exclusively represented and advised an international company (“Client”) in its search to find suitable office premises in a high image office building which would meet its standards and budget. The client was referred to us by a regional bank who knew we could conduct the search as if it were our own lease, and highly recommended us to its customer. After a thorough search, Tenant Rep Advisor successfully located and recommended highly desirable premises in a high rise, Class A office building which met Tenant’s standards, extensive tenant improvement requirements, and would still be within its budget and timing. 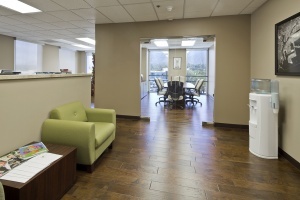 Tenant Rep Broker then successfully assisted Tenant in negotiating and closing a favorable five year lease, on terms and conditions acceptable to Tenant, which accomplished its relocation from Downtown Los Angeles to Pasadena, California. Our bilingual/bicultural expert facilitated a smooth process for both the Client and the Landlord.